In The Modern Foreign Languages Department, we aim to inspire all students with an interest in and enthusiasm for language learning. We use a wide variety of techniques in lessons; students read, write, speak and listen to the foreign language in a variety of situations and they often work in pairs or small groups. ICT, quizzes, games, songs and drama are also used to make the classroom atmosphere as stimulating as possible. Cultural enrichment is an important part of the MFL curriculum. We run very popular trips to France and Germany and, in the classroom, students can expect to learn about traditions such as ‘Galette des Rois’ and ‘der Nikolaustag’. Students also have the opportunity to take part in extra-curricular activities such as our German Christmas biscuit-making competition. In addition to motivating and supporting students, we strive to challenge them and enable them to become independent linguists with the confidence and skills to work out new language for themselves. Our examination results are consistently excellent. All students study Modern Foreign Languages at KS3. In Year 7 students study both French and German. It is our aim to inspire our students with an interest in and enthusiasm for language learning that will remain with them throughout their school career. From Year 8 onwards, students focus on one language only. We regroup students at the end of Year 7 with a view to maximising progress in key language skills throughout KS3. This enables students to build a solid foundation for the new GCSE specifications, should they choose to continue studying a language at KS4. Parents are given an opportunity to make us aware of any specific circumstances they would like us to take into account when we allocate students to French or German. Students are introduced to basic grammatical concepts in Year 7, and this knowledge is consolidated and extended throughout KS3. Students’ progress in the four language skills is monitored throughout KS3 by regular assessments and use of the Pearson Language Learning Steps, which monitor and support effective progression throughout Key Stages 3 and 4. For more detailed information about Modern Foreign Language Learning at KS3, please refer to the Year 7, 8 and 9 MFL Curriculum Booklets. Key Stage 3 language learning provides a vital foundation for our work at Key Stage 4. We run GCSE courses in French and German and have an excellent examination results record. Dual linguist students are able to choose 1 or 2 languages to continue with. Students’ listening, speaking, reading and writing skills are assessed via formal examinations at the end of Year 11. In preparation for this, we track student progress effectively and identify strengths and areas where students need extra support. Students benefit greatly from our regular afterschool MFL Clinic, where staff allocate time to support students with their learning, often providing biscuits to boost levels of energy and motivation! For more detailed information about Modern Foreign Language Learning at KS4, please refer to the Year 10 and 11 MFL Curriculum Booklet. We run A-level courses in French and German in conjunction with Wood Green School, following the AQA course. Students can expect to build upon their previous language learning, in addition to developing their understanding of the culture and way of life of the target-language country. Students benefit from being taught in small groups and working with other able committed linguists, speaking as much as possible in the target language. The course covers a wide variety of topics such as family relationships, leisure, politics and social issues including gender, race and religion. Some of our students have also taken part in a trip to Paris with a group of students from other West Oxfordshire schools. The course equips students well for using language for work, further study or leisure and A-level language qualifications are highly valued by employers and university admission tutors. Over the years, many of our students have gone on to continue with language learning at Higher Education level, and we are always delighted when they keep us updated on their travels and successes! For more detailed information about Modern Foreign Language Learning at KS5, please refer to the Sixth Form prospectus. 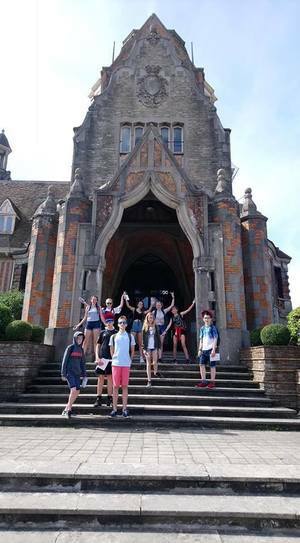 At the end of Year 8, we take a group of students to France’s Opal Coast for 4 days. 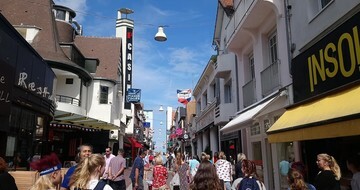 One of the highlights of this trip is a visit to our twin town, Le Touquet, where we have a competition to find and photograph a list of French places. We are always so impressed by the students’ efforts and confidence in speaking French; some have even managed to get invited into the town hall or persuade police officers to pose for photos – this is apparently illegal in France! The students also buy lunch in Le Touquet, using their French to understand café menus and order their food; a few have even brave enough to try frogs’ legs! We also visit Nausicaa, the National Sealife Centre in Boulogne, where we see penguins, sharks and sea lions. The students really enjoy our Bagatelle theme park experience and we normally have some fun visits to the local beach for a run around and a lot of digging in the sand! 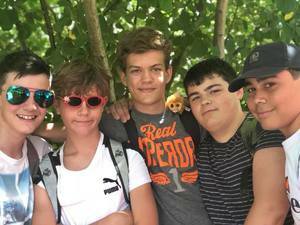 Our students are always a real pleasure to take to France; they are a credit to the school and make a real effort to try out their language skills. 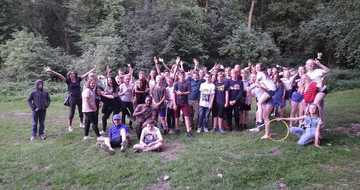 At the end of the Summer term, we take group of Year 9 students to Boppard, near Koblenz in Germany. 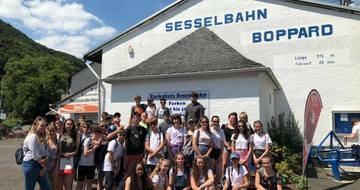 Activities include a walk down to the river Rhein, exploring Boppard with a town treasure hunt which tests students’ knowledge of German language and culture; they also need to talk to the locals! 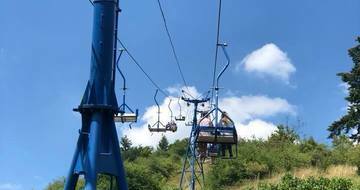 As well as a fun day at Phantasialand, students enjoy a chairlift to the top of the mountain, where there are stunning views over the river and the towns below. Food features heavily on the itinerary, including a chance to sample German cakes, try “Spaghettieis” (icecream that looks like spaghetti!) and a visit to a Belgian chocolate factory on the way home, where students can spend the last of their euros on some authentic Belgian truffles. Students were amazed at how busy the town is in the evening for tourists.